Zimbabwe - Site de lazuliart ! 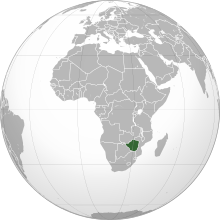 Zimbabwe is a landlocked country in Southern Africa. It borders Botswana, Mozambique, South Africa and Zambia. - Availability of food and health care is precarious. The unique pieces showcased in Lazuli Art come from a Fair Trade Co-op in Zimbabwe. The Zimbabwean artists are based in the capital Harare, where vibrant and traditional local culture thrives. Using recycled metals; car parts, industry scrap, fridges and cookers, these innovative artists create intricately beautiful birds, fish and cacti. 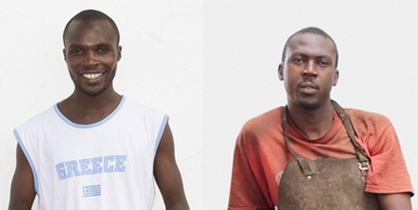 As members of a Fair Trade Co-op, the artists, artisans, welders and assistants are guaranteed fair prices for their work and safe and healthy working conditions. A family community has flourished around the co-op, children attend local schools and have access to health care. In a country struggling with drought, severe food shortages and political unrest, the Fair Trade Co-op offers security, a vastly improved standard of living and hope for a brighter future.